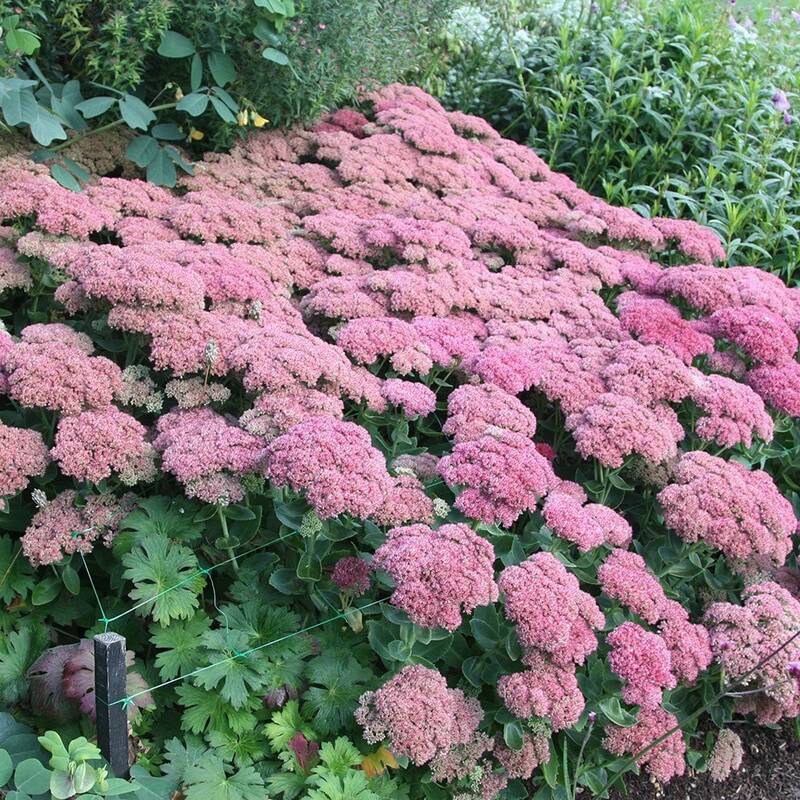 Succulent, lettuce-green leaves, topped with salmon-pink flower-heads in summer, maturing to pinkish-bronze then coppery-red in autumn. This versatile perennial is a perfect filler plant for a sunny, well-drained spot. A valuable late source of nectar for butterflies and bees, the dried flowerheads provide structure and colour in the winter garden. Bought to fill in a gap at the front of a border, look great all year in my opinion. I planted these in spring particularly for their autumn colour and attractiveness to insects.They've scored highly on both these categories. However, I've had to protect them from some garden creature or other which found the newly emerging leaves and fleshy roots delectable. I was able to take away the barricades when the plant started to develop but have recently had to protect one in particular again as, once more, it appears to be under attack from something.